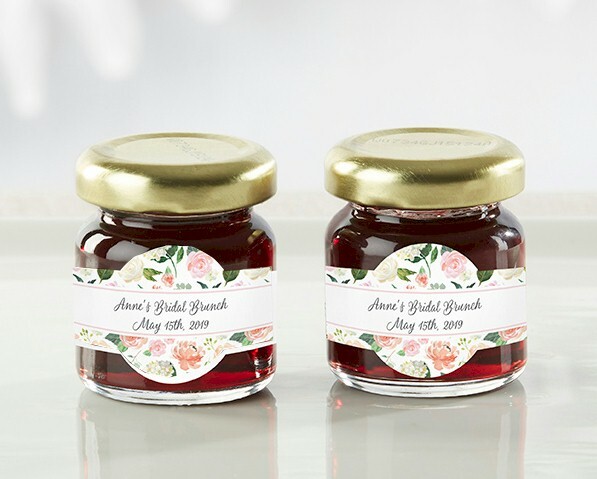 Our Personalized Strawberry Jam favors are perfect favors for a bridal brunch or tea party. 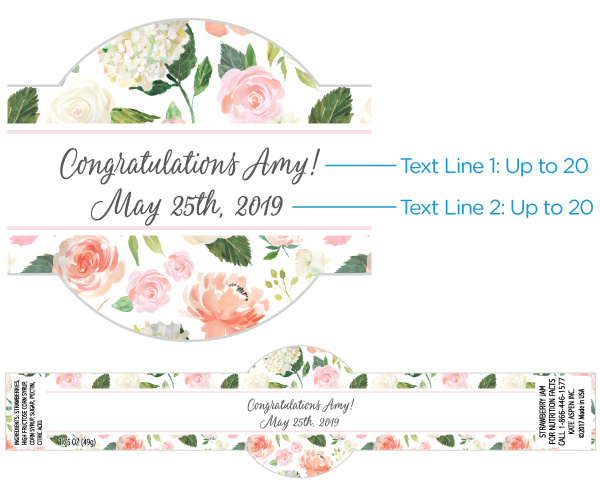 The custom stickers come in a beautiful floral theme. 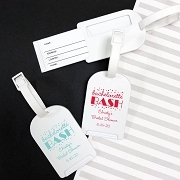 Why give a standard shower favor when you can give one that tastes great? 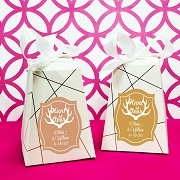 Our edible shower favor is packed full of delicious strawberry jam. 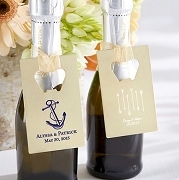 Personalize these bridal shower favors by adding the bride's name and event date to the flower themed sticker.